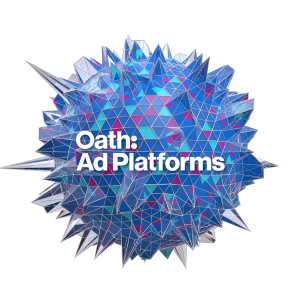 Oath, a Verizon (NYSE, Nasdaq: VZ) subsidiary, today introduces Oath Ad Platforms as its simplified suite of intelligent advertising and publishing solutions globally. Oath Ad Platforms combines the best assets from BrightRoll, ONE by AOL and Yahoo Gemini into a set of solutions that make it easier for advertisers and publishers to drive growth. The suite activates Oath’s trusted data, high-quality inventory, innovative ad experiences and industry-leading programmatic algorithms.